Rolling Stone is weighing in at SXSW with parties and a showcase of its own, including performances from The Meat Puppets, Cee Lo Green, and Queens of the Stone Age playing their debut album front to back. In addition to the big names, the day parties and showcase will also feature acts such as Surfer Blood, Tennis, Raphael Saadiq and more. 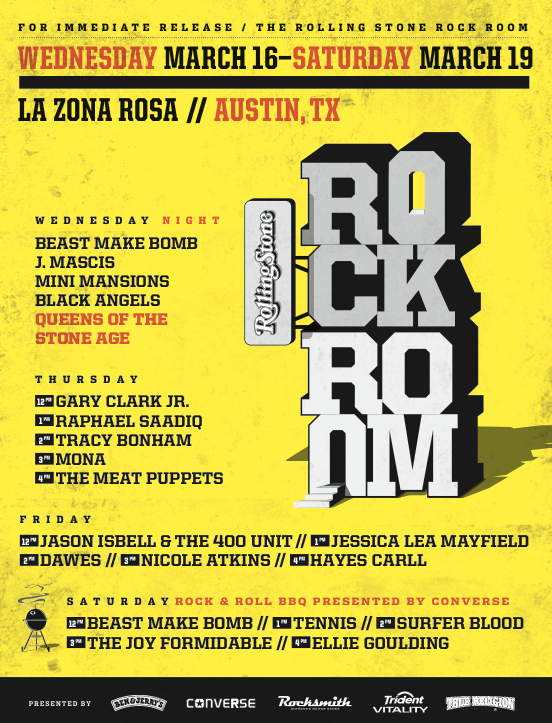 It all goes down at La Zona Rosa starting Wednesday, March 16 and runs through March 19. It appears that the day parties are free, but we’ll post confirmation one way or the other once we get confirmation. 12 p.m. Gary Clark Jr.